A local friend, breathless on the other end of the line, says, “My husband heard you on NPR this morning talking about your new adoption book — congrats, Lori!” I then admit I have no idea what the caller is talking about. A Google Alert delivers to my inbox an article in the LA Times about a new novel with open adoption as its backdrop. These are a few of the ways I first learned of Jennifer Gilmore. Her book about infertility and adoption came out the same week my own did. I contacted her and we exchanged books, hers fiction and mine nonfiction, both with open adoption as a core theme. Below is my review and her candid Q&A with me. Main character and narrator Jesse asks herself mid-novel What is opened and what is closed? — a question I, too have pondered. Jesse and Ramon failed at fertility treatments and were turned away from international adoption. So they turned to this newish thing called “open adoption” and ended up opening themselves up to all kinds of drama — even trauma, feeling unsupported by the adoption facilitator(s) whom Jesse/Ramon thought should be doing a better job at protecting their fragile hearts. 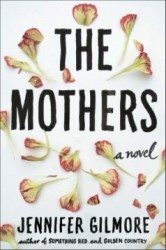 The Mothers chronicles a torturous journey toward motherhood by a woman who is still figuring out what it means to be “the mother.” Jesse seems to understand the role of the mother only in the negative, in what was lacking in her own mother and in her mother-in-law. Throughout the book we find Jesse trying to figure out just what occupying the vaunted status of The Mother means, should mean. My journey to parenthood was similar to fictional Jesse’s, and I recognized myself and many of the emotions that come with infertility in some of the book’s scenes. Gilmore covers baby lust, singular focus, magical thinking, marital wear-and-tear, and frustration about the inability for an otherwise capable woman to have any control over an outcome. The novel reads much like a memoir, and Gilmore is gutsy to show the inner thoughts and foibles of her main character/narrator. “…the agency was there mostly to protect the birthmothers” (p 234). If you could advise the various adoption facilitators Jesse and Ramon used to connect with placing mothers on how to better serve their clients, what would you say? What I can say on the matter is this: there is a lot of coded language out there. It isn’t IF you get your baby, but WHEN, for example. But that’s not always true. There are, in the end, more prospective adoptive parents than there are infants who need them. This is not including the foster care system that has its own set of laws and statistics. In regard to adoption, however, the only thing I can say is agencies need to offer more support by way of truthful information to prospective adoptive parents. There needs to be more preparation about what can actually happen. Of how laws differ in each state. 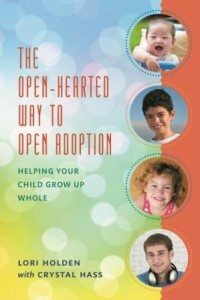 How, because of the transparency of the open adoption process, you will more than likely have your heart broken before it is mended. Agencies have the best interest of the birth mothers in mind, as they are often seen as the commodity here. It’s really a market driven idea — and if you don’t put the birth mother first, then there is no child to get to your clients. This is the hidden part of it. It makes sense, but it is hidden. The Mothers addresses topics like race, class and sexuality. Have you taken any heat for the ways in which your characters approach these touchy subjects? When people talk about race — out in the open — it makes some uncomfortable. In an open adoption, one has to think about her feelings about race, in regards to the ethnicity of the child she feels comfortable parenting. My narrator is shocked that people want only a white baby, that many are not checking the African American or the Hispanic box on their profile forms. My narrator checks all the boxes, but she does so without thinking deeply about it. Perhaps she doesn’t have to. She wants a child and she doesn’t care about his race. 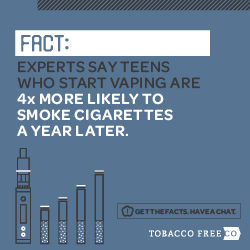 But even to have a box you check or don’t check is shocking to a lot of people. How does this — race, ethnicity, color — define a person? Of course, everyone is a story, everyone has one, and this steals that narrative. When we talk about this — and for me when I wrote about it — I did receive pushback from people who found the process offensive. The were offended when I said in interviews that if you don’t want an African American child, you certainly shouldn’t parent one. And yet this is true. We lose sight sometimes of the most important thing, which is that we have to think first about what is best for the child. My character — and I — chose the African American box. Its mere mention, the mention of race talked about directly, does anger many people. Other interviewers have broached the question regarding why you chose to write a work of fiction rather than a memoir. Doing so gives you ways to explore varied story lines, scenarios and issues. But the downside is that readers may see you as your main character. How would you describe the gap between your own story and Jesse’s? I am a fiction writer. I have two previous literary novels that have nothing to do with adoption. So for me, the most authentic way to tell the truth is through fiction. While that may sound bogus to some, fiction is the way in which I view the world so there was never a question of whether it would be a memoir, only how I would tell it as a novel. Would you tell us about your path to getting this book published? Was it an easy birth or a complicated one? Because I had the same editor and publisher for my first two books, I suppose the publication was “easy.” They had the option to read the book before others did and they chose to buy it. I don’t know what the experience would have been like if it were my first book. It’s very hard to publish novels — perhaps had I NOT been a novelist first, I could have written the story as a memoir. Perhaps that would have been easier to publish, I can’t say. But a novel is like a valentine. It lasts forever. You mention in a Publishers Weekly interview that earlier this year you became mom to a son. Would you like to share any parts of that story? After a very long and traumatic adoption journey, my husband and I did bring home a son at the end of January. It is an open adoption, which, as you know, means we know the birth mother — and in this case the birth father — in varying degrees. We feel lucky. There were many moments we stopped believing that we would have a child. Every day we remember that, even if it’s just in the back of our minds, how almost this never happened. 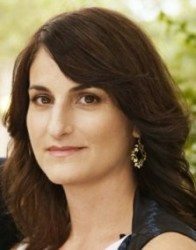 Jennifer Gilmore is the author of Golden Country, a 2006 New York Times Notable Book and finalist for the Los Angeles Times Book Prize and the National Jewish Book Award, and Something Red, a New York Times Notable Book of 2010. Her work has appeared magazine and journals, including Allure, Vogue and The Washington Post. 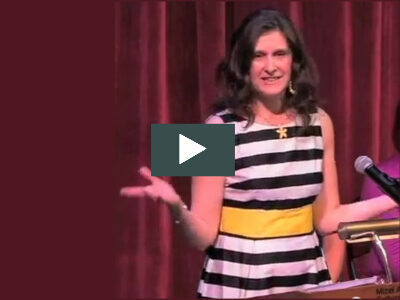 She teaches at Princeton University and lives in Brooklyn. Either Hope is fickle or I am. Our relationship, especially during my days of attempting to resolve infertility, was a contentious one. I pinned so much on Hope. We’re revisiting posts about “hope” for Time Warp Tuesday, the monthly blog hop offered by Kathy at Bereaved and Blessed. It might be a post where you wrote about something you hoped for, how hope got you through a difficult or uncertain time in your life or more generally what hope means to you. Then write a new post on your blog about why you chose the post that you did and what has happened in your life since. I dug through this blog’s archives and couldn’t find a post that fit the bill. But I knew I’d written about Hope (that bi+ch). 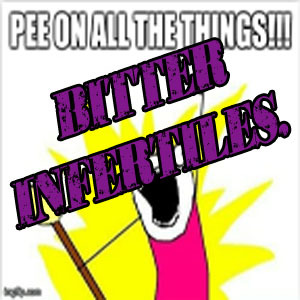 I finally found a few posts on a different blog, an early one that details my infertility journey. I found three related posts in which my relationship with Hope arcs and resolves over the course of 3 years. Hope-less: Failure to Thrive. Today I began to die. I feel alone. I’ve tried to get over my dreams to have a family, and we’ve talked about some alternatives, but we don’t seem to be able to pursue any. Now, the future literally doesn’t exist for me. Hope-neutral: Treading Water. The problem with the method of dying I’ve chosen is the time it takes to do it — weeks or months of willful dying when the body is programmed to live. I feel like the dark curtain has lifted, in spite of my best intentions, and I probably will survive this funk. Walking away from Hope: Fertility, Take Two. Only after a painful and final breakup was I able to move forward. Deciding on another IF treatment would be like betting your 401K on a ground sloth that somehow wandered onto the track at Belmont…Such a firmly rooted dream is not easy to pull up and discard. My pillow is wet for months on end. With that I began dealing with my world as it was and not as I hoped and wished it would be. I am now a mom to two amazing tweenagers, whom I have parented since Day 1 (give or take). Somehow, I managed to get everything I longed for — after resolving my dysfunctional relationship with Hope. Click over to Time Warp Tuesday to read more posts about hope, and maybe even add your own (even if it’s no longer Tuesday).